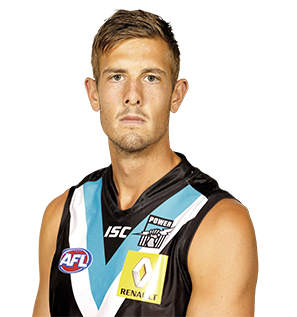 Senior coach Ken Hinkley expects Matt Thomas to find his way to another AFL club after the recently departed Port Adelaide midfielder was awarded the 2013 Magarey Medal. As the SANFL minor round draws to a close, two experienced Power players perform strongly for their aligned clubs. Lewis Stevenson and Ben Newton have both performed strongly in the SANFL. At 24 years of age, Stewart has been on Port Adelaide’s list for a number of years and entered the team with much promise on debut in 2010. 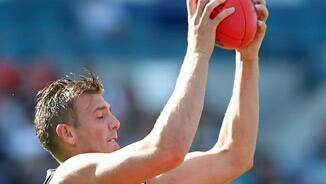 Capable of playing as a tall forward or in the ruck, he remains a valuable option for the Power around the ground. Stewart came to the Power with pick 35 in the 2009 Rookie Draft and was elevated to the senior list that same year from SANFL club North Adelaide. Stewart’s 2012 was played in-and-out of the senior side. 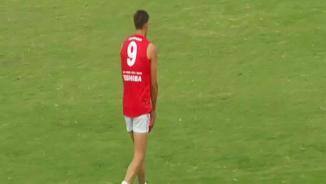 He played the first four games before being dropped back to North Adelaide and missed much of the middle third of the year. Returning against Essendon he was able to have some impact up forward but eventually found himself back out of the side with injury.